This building illustrates the demographic processes that produced great changes in Detroit. Jewish immigrants arrived in small numbers after the 1848 revolution in Germany, but in much larger numbers after 1880 when Eastern Europeans migrated to take jobs in Detroit’s numerous industries. Many of them were impoverished and so they resided in low-cost housing on Detroit’s east side where Hasting Street was once a major thoroughfare. As Detroit boomed in the early 20th century, many Jews prospered and moved away from the riverfront where housing was most congested and least desirable. At the time of World War I, the Jewish population had crossed East Warren on the east side streets that paralleled Woodward. Talmud Torah schools developed in the Jewish urban communities of the United States after the 1880s. These schools held classes that met after the public schools closed for the day. They focused almost exclusively upon teaching Hebrew and the interpretation of the Torah. They were graded so a young student could progress from a low level to a high level. Only young men could enroll. The United States Census has never asked a question about religion so one can do no more than rely upon estimates of the Jewish population of Detroit. Eastern European counties that sent many immigrants to the United States: Germany, Hungary, Poland and Russia had diverse populations in terms of religion so knowing how many came from those countries to Detroit does not help much in estimating the size of the Jewish population. Romania was unusual in that almost all immigrants from that nation were Jewish. The Jewish population faced restrictions on where they could live in Detroit, but there have been few studies of residential segregation based on religion. This is partly because of the absence of census data about religion. However, the history of litigation in Detroit includes many suits about the use of restrictive covenants to keep blacks out of a neighborhood, but so far as I know, few or no law suits about the similar exclusion of Jews. 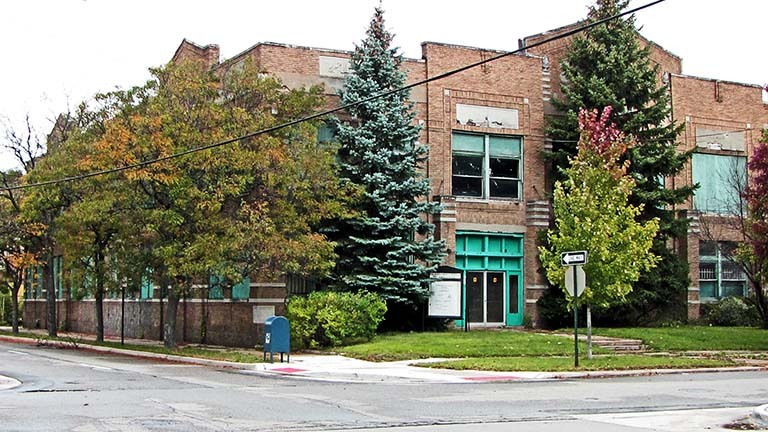 In the 1920s, Jewish residents of Detroit east side prospered and found attractive residences available in the Dexter-Davison area near the B’Nai Moshe synagogue. Once the Jewish population moved to those west side neighborhoods, there was less need for Talmud Torah schools in the area we now know as the Cultural Center. 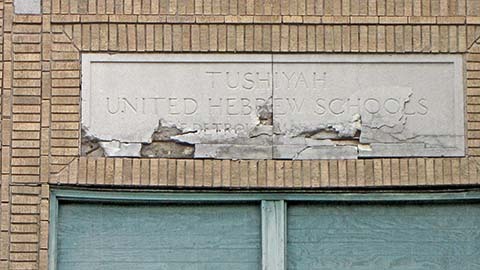 Tushiyah United Hebrew School closed its doors in 1929, just seven years after the school opened. By the mid-1920s a larger black middle class was growing quite rapidly in Detroit. Black men earned substantial wages in the vehicle industry and, in that Jim Crow era, many professions were segregated by race so black professionals from around the country found a substantial market for their services in Detroit. In addition, the growing black population created opportunities for black real estate brokers. The numbers business in Detroit is seldom studied but it, apparently, generated considerable wealth for black and Jewish entrepreneurs. The black upper class moved into the blocks just north of East Warren to the east of Warren once Jewish residents opted for west side locations. Two nearby historic districts—the East Frederick and East Kirby districts—commemorate the African American presence in this area very close to Detroit's Cultural Center and now undergoing a considerable renewal and repopulating. Scott Memorial Methodist Episcopal Church was the first American African Methodist Episcopal Church in Detroit, founded in 1909. With the growth of the black population and the increasing financial security of many blacks, this church grew, and by the mid-1920s, they sought to build a new church. However, in 1929, the Tushiyah United Hebrew School building was available so Scott Memorial purchased it and used it as their sanctuary until 1970. In that year, Scott Memorial moved into the church on West Chicago previously used by the Grace United Methodist. Scott Memorial continued to own the Tushiya building until 1984 when it was sold to an organization called the Wild Life Field and Stream club. That organization was the last one to use the structure. I believe that the building has not been occupied for several decades. Scott Memorial’s church on West Chicago was, I think, razed by fire in 2001. The congregation then moved to its present site on Plymouth Road in the far western neighborhoods of Detroit not far from Rouge Park. The architect, Isadore Lewis, was born in Appleton, Wisconsin in 1888 to Russian immigrants. He attended Lawrence University in that city and then earned a degree in architecture from the University of Pennsylvania in 1911. He practiced architecture in Chicago for some years but then established his own firm in Detroit just before World War I. He spent much of his long career designing homes, apartment buildings and stores primarily for Jewish clients in Detroit. An example is the Regency Court Apartment Building at 2535 West Grand Boulevard, built in 1921. This building is located close to the increasingly prosperous Midtown section of Detroit. In August, 2013, a real estate developer, Richard Hosey, announced plans to convert this building into 25 residential units. This will be a pleasant addition to the increasingly populated neighborhood.